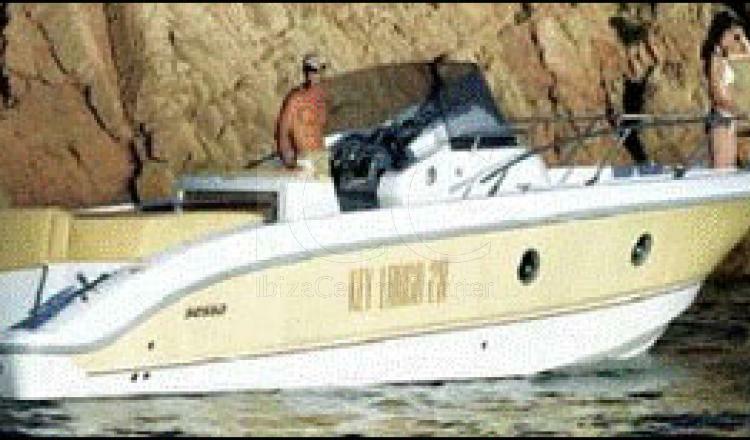 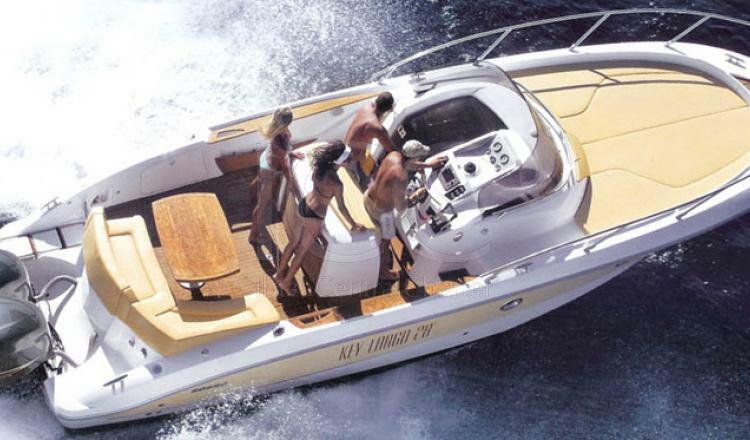 Sessa Key Largo 28 is a comfort sporty spirit boat, one of the most outstanding boats of the exclusive house. 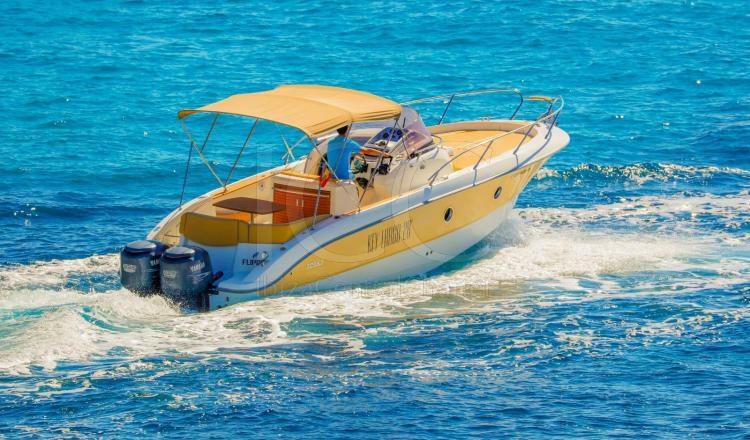 Sessa Key Largo 28 motorboat has a wide distribution but certainly stands out for its large stern solarium, and a convertible sofa also in bow solarium in case one was not enough. 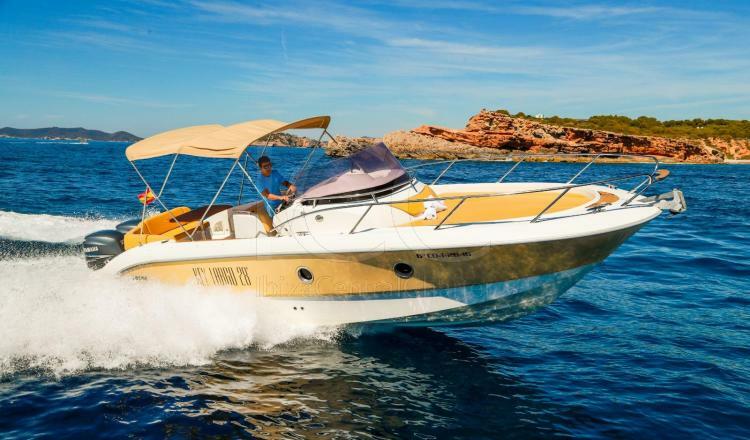 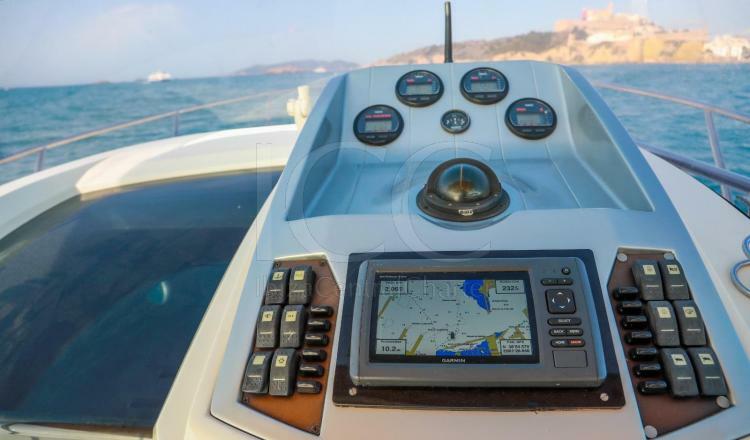 It has two powerful 250CV Yamaha outboard engines with electronic controls that give the boat that sporty spirit of the shipyard. 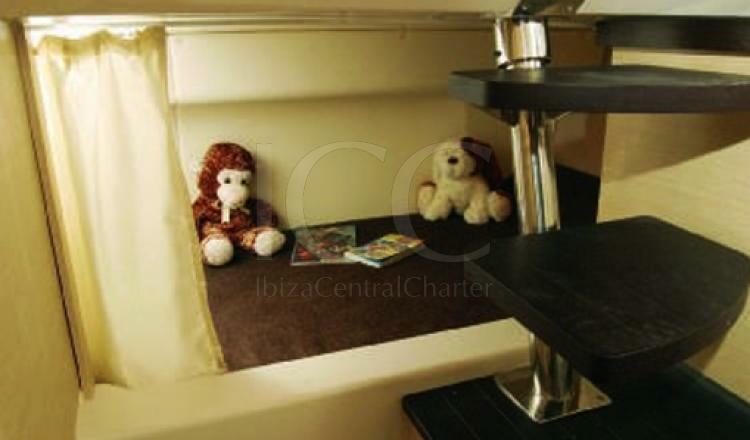 Equipped with a great facilities that will make you a perfect atmosphere in your day crossing Ibiza and Formentera coastlines, it has a good sound system with speakers located along the boat, a comfortable double bed, a simple bathroom but it has all the amenities (shower, sink and toilet). 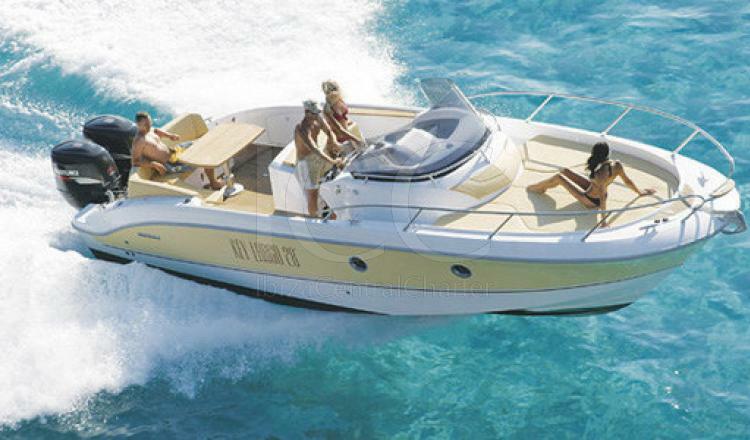 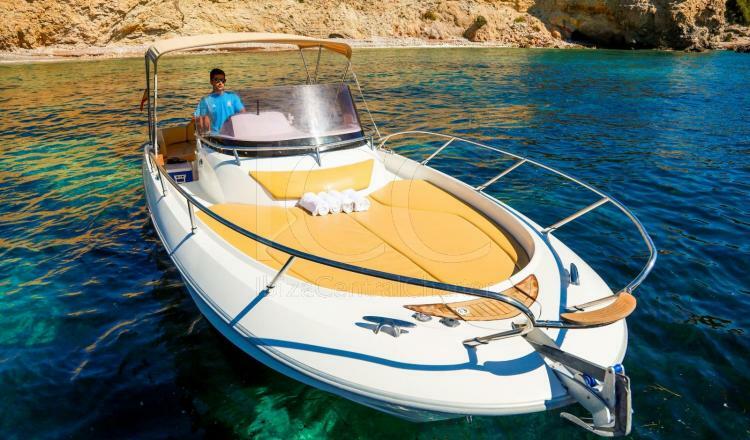 Sessa Key Largo 28 will be one of the best options to spend a day in Ibiza and Formentera sea and beaches. 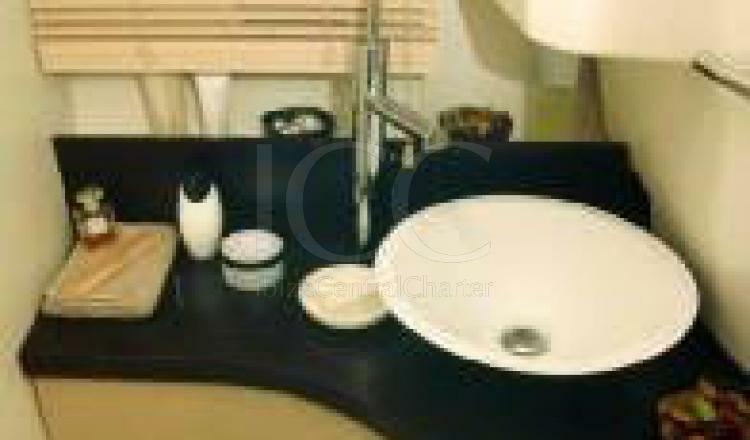 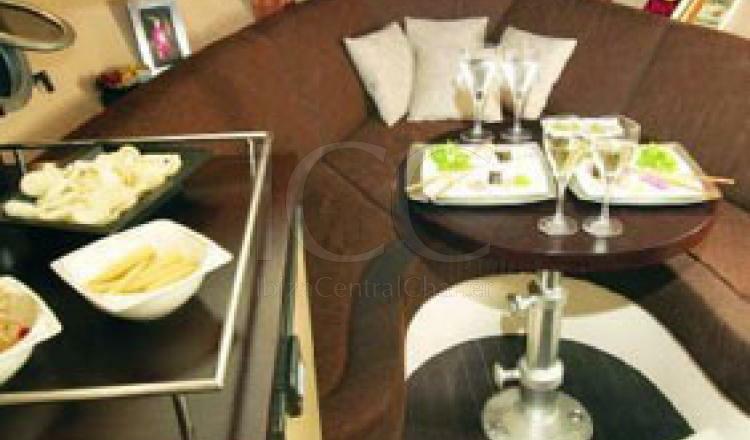 - Ice, mineral water and refreshments of courtesy.